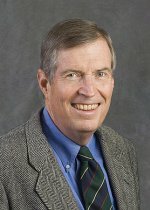 Congratulations to Pacific Northwest National Laboratory's Dr. James A. Edmonds on being named an American Association for the Advancement of Science Fellow. The AAAS is the world's largest general scientific society and publishes the journal Science. The AAAS gives the distinction of Fellow to members who have made efforts toward advancing distinguished science applications. Edmonds will be recognized in February 2007 at the Fellows Forum during the AAAS national meeting in Boston. Edmonds is a Laboratory Fellow in the Atmospheric Science and Global Change Division and a chief scientist at the Joint Global Change Research Institute, a collaboration with the University of Maryland. He was selected for his "distinguished contributions to the field of climate change economics, particularly modeling and analyzing interactions of energy, the economy, technology carbon cycle and climate." Edmonds is the principal investigator for the Global Energy Technology Strategy Program to Address Climate Change, an international public-private research collaboration. Edmonds is well known for his contributions to the field of integrated assessment of climate change and the examination of interactions between energy, technology, policy and the environment. His extensive work on the subject of global change is included in books, papers, and presentations. Since 1991, he has contributed significantly to the UN-convened Intergovernmental Panel on Climate Change, which shared the 2007 Nobel Peace Prize with former Vice President Al Gore. Edmonds served as a lead author for all four major assessments published by the IPCC and numerous interim assessment reports, as well as serving on the IPCC steering committee on new integrated scenarios. He frequently testifies before Congress and has briefed the Executive Branch of the United States Government. During his 35 years in research and teaching, Edmonds has written or co-written hundreds of publications and presentations. He also serves on editorial boards, review panels, and advisory committees that have energy and/or environmental missions.